Jason Y. Ng, Umbrellas in Bloom: Hong Kong’s Occupy Movement Uncovered. 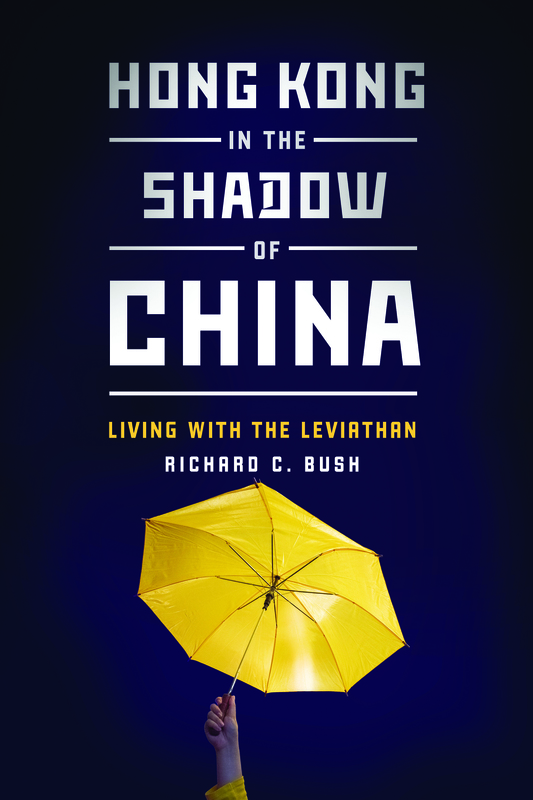 Richard C. Bush, Hong Kong in the Shadow of China – Living with the Leviathan. 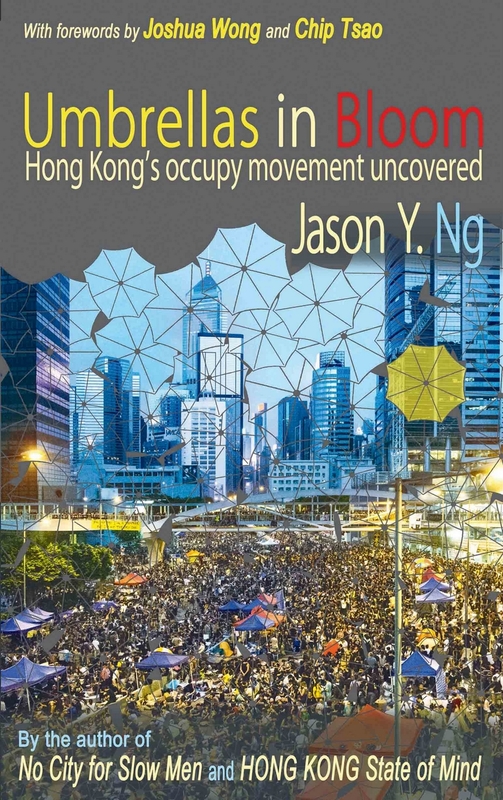 Hong Kong, Blacksmith Books, 2016, 392 p.
Washington, D.C., Brookings Institution Press, 2016, 400 p.
Judging from the coverage it received both from local and international media at the time, the 79-day “Umbrella Movement” that rocked Hong Kong at the end of 2014 was bound to be scrutinised and analysed at length. Because of the significance of the movement itself, as well as its highly symbolic and graphic occurrence, the bright yellow umbrellas that were used to deflect pepper spray and tear gas shells came to symbolise the peaceful resistance of democracy-craving youth against abusive state power, all this at the very heart of one of the world most dynamic financial hubs, and at the doorstep – in and out, one could say – of one of the most repressive political regimes on the planet. Thus, the movement had a particular significance for Hong Kong itself: if the anti-Article 23, aka anti-subversion law, protests of 2002-2003 somehow symbolised the end of “political apathy” in the former British colony, the Umbrella Movement could certainly be described as a dazzling and buoyant embodiment of political maturity, one all the more striking in that political sagacity and shrewdness were ironically being shouldered by a generation of advocates barely 20 years of age. And it also had a worldwide resonance: it reverberated with the shockwaves sent by the 2011 Occupy Wall Street and Spanish Indignados movements: liberal politics was being debated once more, deliberation 2.0 style, with the slogans and graffiti of May 1968 being revamped and sinicised on a new incarnation of the Lennon Wall. Locally grounded and yet globally connected, it picked up on issues raised by the likes of Plato and Aristotle in a highly singular Chinese cultural context, and yet cast new light on “the weak links/strong links” and other “online/offline” predicaments pertaining to the structuring of social and political movements. The two books respectively authored by Jason Ng and Richard Bush dedicated to currents affairs and politics in Hong Kong could not be more different in nature, and yet both offer a far-reaching and rich assessment of the political forces at play in China’s Special Administrative Region today. Umbrellas in Bloom, as indicated by the title, focuses on the movement itself and provides a meticulous and vivid account of what happened during these almost three months of turbulent political demonstrations and occupation of emblematic sections of the city, kick-started by the firing of 87 canisters of tear gas by the police on 28 September 2014, and the prior announcement by Benny Tai of the launch of his brainchild Occupy Central with Love and Peace (OCLP). The first chapter – The Day When Everything Changed – sets the tone as it recounts that very first day of the protest as perceived by a concerned outsider, the author himself: it is the work of a militant and a writer who makes us feel the joyful enthusiasm and the uncertainties brought about by the opening hours of the movement. Jason Ng’s style is precise, energetic, and evocative, and one can feel the soundness of the arguments of the lawyer as well as the craft of a writer and experienced blogger – he is now the president of PEN Hong Kong – who came to writing out of a concern for “transmitting” the uniqueness of Hong Kong to an English-speaking audience. The movement comes to life under Mr. Ng’s pen, whether in describing the more menial, such as the bromance between Alex Chow and Lester Chum from the Hong Kong Federation of Students; the emblematic, such as the incomparable rise of Joshua Wong, the 18-year old nicknamed G-Phone, whose face became the Man of the Year cover for Time Magazine in 2014; or the more decisive, such as the fecund interaction between this youthful trio led by Joshua Wong, and the older OCLP trio made up of two university professors and pastor Chu Yiu-ming. But Jason Ng is at his best when he describes the daily presence of accidental militants on all three sites of the occupation rally (the Harcourt, Nathan, and Yee Wo villages), although he provides a much more detailed rendering of the Harcourt village, as this was the central command post of the movement and the place where Mr. Ng himself became involved – and even slept in a tent – to provide “popular classes” to members of his Water Blowers’ Society. The author pays due tribute to the inventiveness of the occupiers, their interaction with outsiders – pro and con alike – and how ultimately this unique experimental political ordeal came to be a life-changing episode for many young people in Hong Kong and shook up the traditional hierarchy of values for the whole community. The text is richly illustrated by the expressive drawings of Daniel Ng, the author’s brother, and interlaced with highly relevant graphics, maps, and tables, enriched with a central photographic section in colour and completed by valuable appendices, including a general chronology, a day-by-day timeline of the movement, biographic notices of political figures, portraits of political associations and parties, and finally a bilingual glossary that provides a glimpse into very colloquial expressions in Cantonese. In many respects, Umbrellas in Bloom is equally valuable for the strength of the argument it brings forward – the enthusiasm democracy is still capable of imbuing, whatever the latitude and longitude – and its almost anthropological delving into a case study with a significance that extends far beyond Hong Kong itself. In order to address the main issues, three perspectives are developed. The first one directly confronts the deadlock of political reform in Hong Kong, with the ultimate consequence of a “reversion to existing undemocratic mechanisms” to elect the highest governing official of the SAR. This is followed by a lengthy exploration of the reasons behind the eruption of the Umbrella Movement: the struggle between the democratic camp and the establishment (and usually pro-Beijing) camp as to the amount of democracy that should be allowed in the system; the many shortcomings and contradictions of the political system as far as true democratic competition is concerned; growing social and economic inequality, and thus the disruption of the original “Lion Rock Spirit”; and finally the dysfunctional interactions between democrats, members of the elite, the Hong Kong government, and the central authorities in Beijing. Many of the arguments delineated in this first perspective coincide with those made in Umbrellas in Bloom, but the tone is usually more neutral and matter-of-fact. Some of the explanations provided, such as the socio-economic reasons, allow for a balanced appraisal grounded in more varied pre-existing academic works. Ultimately, the conclusions are roughly the same. The second and third perspectives are truly unique to Mr. Bush’s thinking, however, and make up more than half of the book. They address a series of “so what” questions. “So what” for Hong Kong primarily, by exploring first what a more democratic system would bring to governance and state capacity in the SAR, and second, what such reforms would bring to economic prowess and competitiveness. By using the latest research done in other settings, Mr. Bush is able to demonstrate that both governance and the economy would benefit from democratic reforms as well as nurture one another, and adversely that both realms would suffer from the lack thereof. “So what” for other places as well, and here the author builds his arguments for the peripheral regions of China, and especially the autonomous regions in which democratic reforms could constitute an alternative to mere coercion, which has failed to calm chronic forms of instability; for Taiwan, and how a successful democratic reform in Hong Kong could prove the point of Deng Xiaoping’s initial intent; for the United States and the Sino-US relationships also; and ultimately for China’s own political development, and what a truly democratic Hong Kong could bring to a possible path towards more political accountability in the PRC, and at the very least to establishing good and corruption-free governance norms that would make the fight against the spoliation of the people an ingrained feature of the regime rather than a succession of never-ending and highly disruptive punitive campaigns. Far from being mere wishful thinking, Richard Bush’s considerations want to give dialogue and reconciliation perspectives a chance… or at least an argumentative point. Militancy can indeed be scholarly. These two books complement one another beautifully. For the casual reader with only a distant interest in Hong Kong politics, Umbrellas in Bloom will act as an eye-opener and proves extremely stimulating as well as entertaining. For a more attentive observer, and especially students of social movements 2.0, the two are must-reads and should definitely figure prominently as key bibliographic references. Éric Sautedé is an associate researcher with the CEFC (esautede@gmail.com).